Most nights a week I’m by myself at the barn. Common sense (and my husband’s express request) dictate that I keep my phone on me in case something happens. I normally keep it in a pocket, but getting it back into my pocket if I take it out while riding is challenging. Plus not all my breeches have pockets. While some people are incredibly DIY talented (ahem, $900 FB Pony). I tend to like the *idea* of projects more than I like actually doing them. But this one is so easy – if I can do it, anyone can do it. I present to you a do-it-yourself version of the GoVelope cell phone holder. 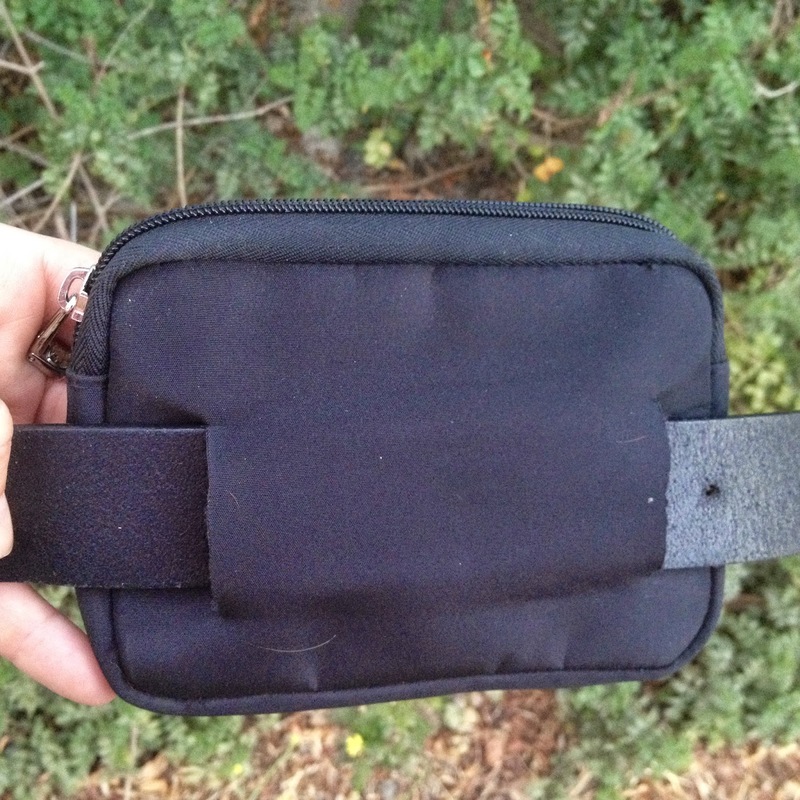 Pouch (a sturdy one you probably already have somewhere – mine was a spur case). 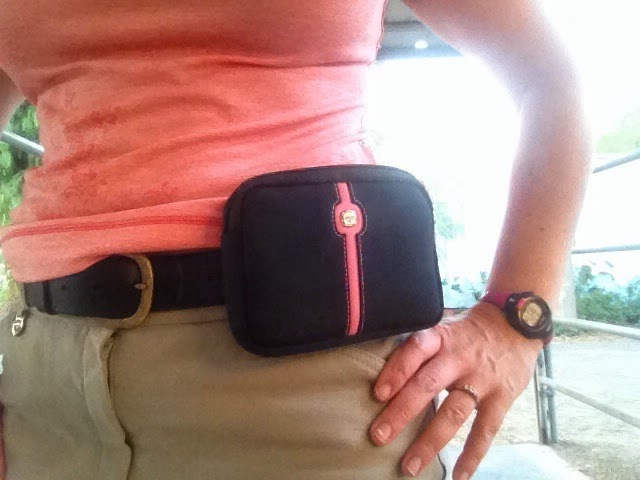 Lay belt across back of pouch, and mark dots with sharpie above and below belt on each end. Using sharp scissors, carefully cut vertical lines from the dots. Thread the belt through the openings. Voila! Your cell phone is handy, easy to get out and put away, and you save some $$. Brilliant! I never would have thought of that but it's a great idea! Nice!!! I always have my phone on me. Either pocket (yay Pipers!) or I have a purpose made calf holder. Not sure what I'll do when the bigger iPhone6 I plan to get comes out this fall. My iPhone4s fits everywhere.